Super simple. 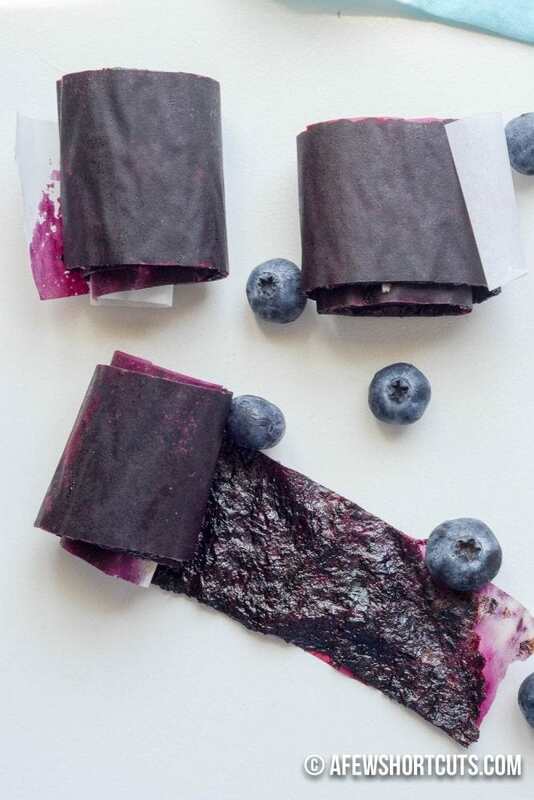 Make your own Homemade Fruit Roll Ups for those lunch boxes with this easy recipe. Just fruit and a sweetener of your choice. That is it. No special equipment needed. Finding healthy snacks and lunch box treats can get monotonous. Fruit Snacks, snack cakes, cookies, etc. It’s always something. 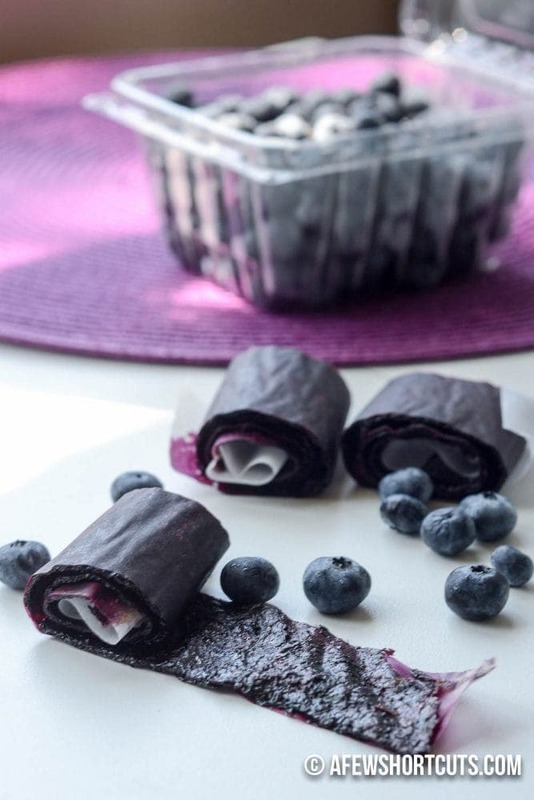 I got some extra fruit at the grocery store this week and decided to try my hand at this Homemade Fruit Roll Ups. They are super healthy and taste amazing! 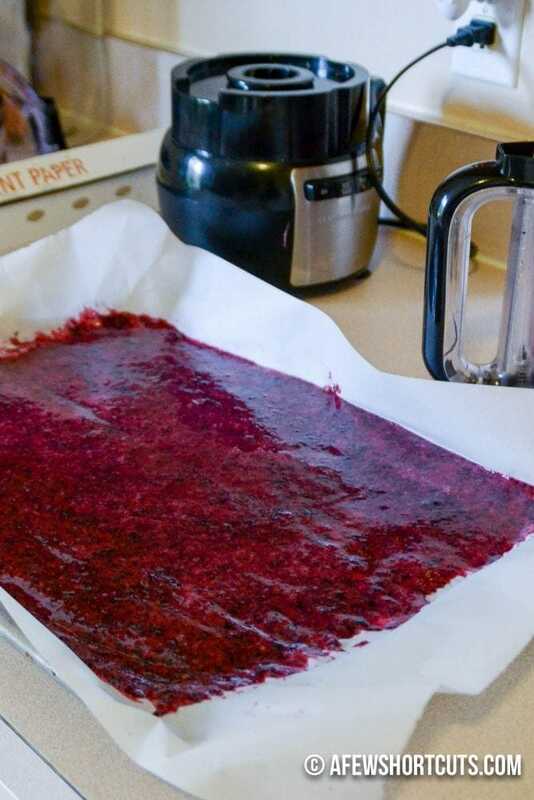 There is nothing like a fresh homemade fruit leather. No special equipment necessary. All it takes is fruit, a little sweetener, and some time. 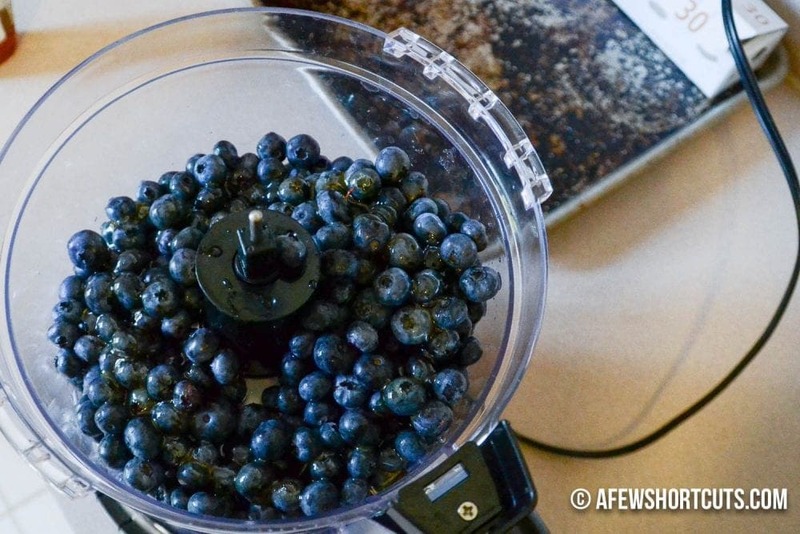 I popped 2 containers of blueberries into my food processor along with a drizzle of honey. You could totally use a blender. I then completely covered my cookie sheet with parchment paper. Then spread the fruit out evenly on the pan about 1/8th of an inch thick. I popped it into the oven at 175 degrees F for 6 – 8 hours until center is not tacky anymore. Remove from oven and peel off of baking sheet. Cut into strips and roll in parchment or plastic. Store in airtight container or freeze. Since I baked mine on parchment, I just cut it into strips and rolled it up. Turned out perfectly! You could do this with any kind of fruit! The kids love them! Pour onto a baking sheet lined with plastic wrap, or a silicone baking mat, or parchment paper. Spread to 1/8″ thick. Place in oven and bake for 6-8 hours, until center is not tacky anymore. Remove from oven and peel off of baking sheet. 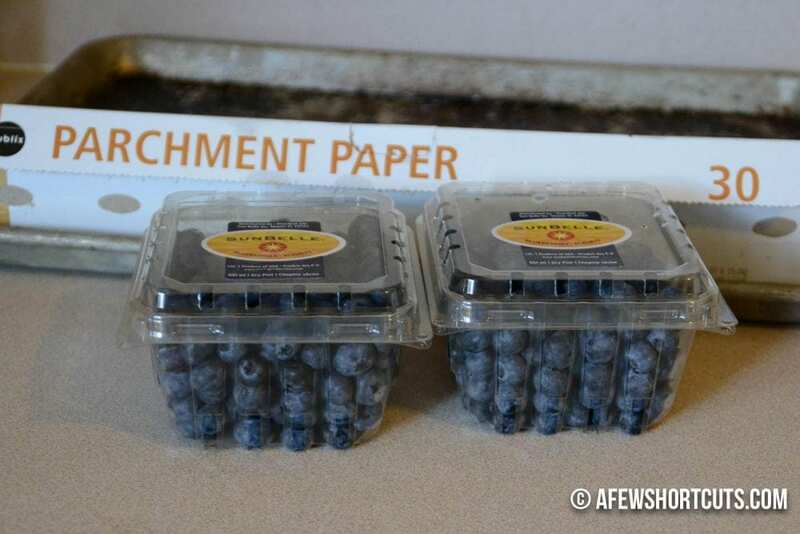 Cut into strips and roll in parchment or plastic. Store in airtight container or freeze.